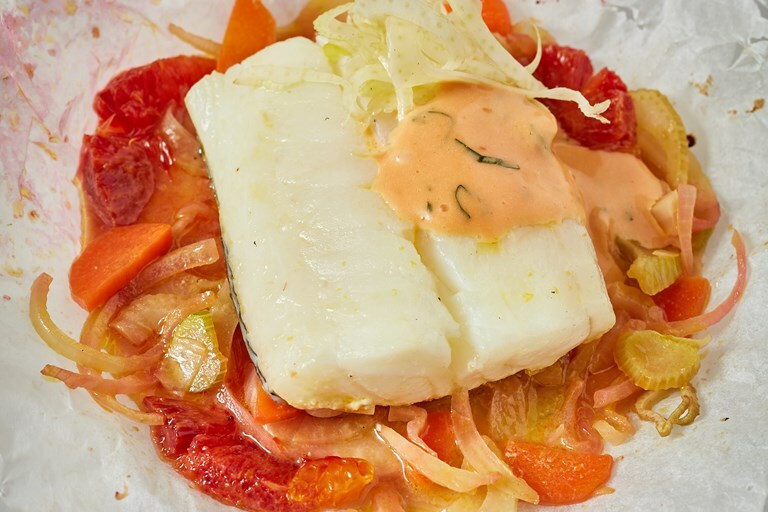 Cooking haddock en papillote ('in paper') results in perfectly cooked fish which you can unveil directly at the table. 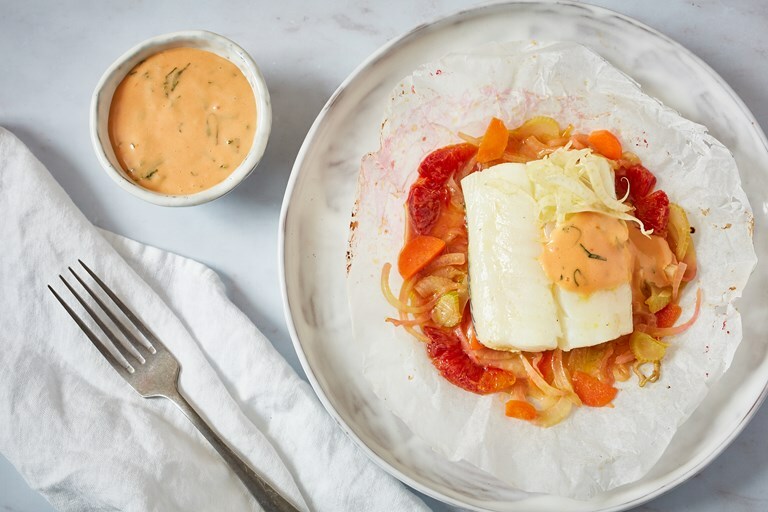 This recipe from Paul Welburn pairs basil-cured haddock from Norway with fennel and seasonal blood oranges, which are steamed in the parcel itself and used to flavour a rich hollandaise to be drizzled over the top. 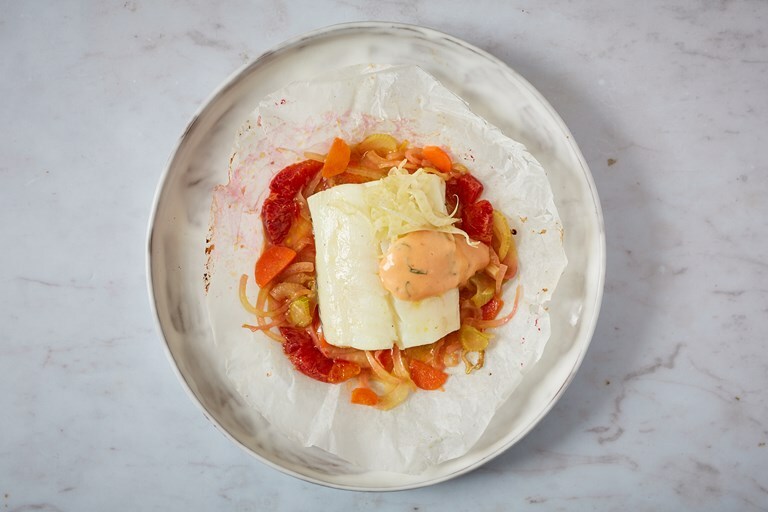 A wonderfully theatrical dish for any dinner party.